MK & Deep Reese are the mixes to go for across all the different releases of "The Colour Of Love". 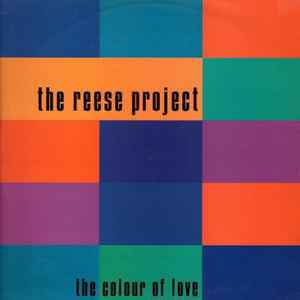 The Deep Reese mix focusing on the vocal and deep rolling bassline. MK mix has a great repetitive synth, that inter changes with a sax rift and skippy percussive beats with minimal use of the vocal. MK mix probably takes it for me, classy house tune. Defo agree with the below comment. The Bump mix is the one that used to get the reaction on the dance floor, can't say i ever heard the other mixes hardly at all. Bump mix is amazing, often overlooked in favour of the Playboys mix. I remember getting this in the record shop I worked in when it came out. I was pretty excited about all the artists involved, but mostly disappointed with the release. MK mix was [and still is] my standout fave. There is no Underground Resistance Radio Mix (A2). The info on sleeve and label clearly says Underground Resistance Mix. Only the CD release contains the Underground Resistance Radio Mix.